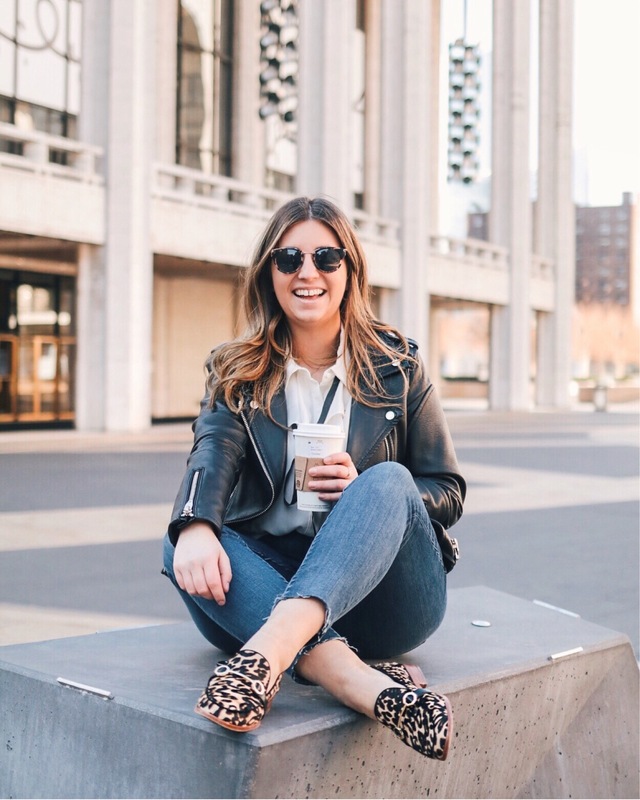 A pair of skinny jeans to take you from lounging on the couch to meeting with clients is a wardrobe must have and I’ve found the best pair under $80! Everyone needs a trusty pair of skinny jeans. period. Over the last year or so I’ve been unconsciously switching most of my jeans drawer over to trendier cuts like straight leg and cropped flair and recently realized I didn’t have a single classic skinny that I loved. You know, the kind that you could wear literally every day because it works for meetings and also a night out. In case you didn’t know, Madewell has been my favorite place to buy jeans for years. I’m telling you all their jeans are truly the b.e.s.t. Their jeans are definitely on the pricier side for my budget though, so when I found out the roadtripper was only $75 I was ecstatic. They’re the perfect high waisted slightly stretchy super skinny jean that can truly be worn with any outfit. No more worrying about if your jeans will fit under your tall boots or are too cropped for your favorite pair of mules. I’ve been wearing mine pretty much non stop and love that they never stretch out and have to be washed (washing your jeans is bad guys!!). Plus they come in three washes: Jansen (what I have), Bennett Black, and the lighter Knee Rip Edition. The next pair of black jeans I buy are definitely going to be the black pair! I’ll end my ode to Madewell now, but seriously try them out and let me know what you think! I added a few ways I’ve styled them recently below to show how you can take the Jansen wash from work to weekend! This sweatshirt has me turning into someone who actually wears sweatshirts… Yeah I know, who am I? But seriously this has become a weekend uniform since it’s been so cold and I just can’t be bothered to wear something uncomfortable when watching Netflix inside all day. This $15 t-shirt bodysuit has been one of my BEST purchases. It’s the easiest thing to layer when going out on the weekends and I love that I never have to deal with retucking in my shirt. Also this combo of black top, jeans, and OTK books is basically all I wear out between November and April. Sorry not sorry friends. I can wear basically anything to work, but for days we have onsite meetings with clients my go-to is throwing a plaid blazer over any jeans + sweater combo. It instantly makes you look put together while still being casual enough for the fashion/tech industry.